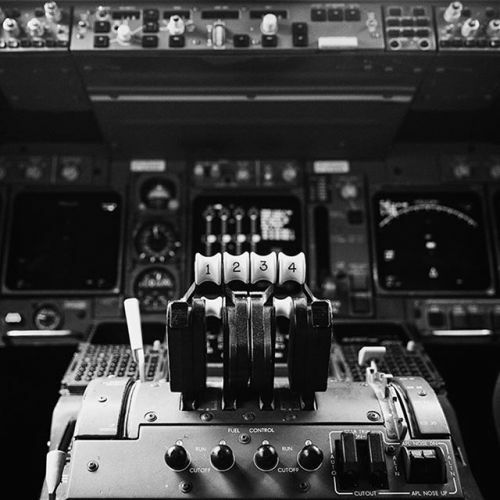 “What’s it like to be an airline pilot? @nytimestravel asked the pilot Mark Vanhoenacker to share his thoughts on the career that has taken him around the globe. “When we look out at a 747 waiting to take us halfway across the world, we’re looking at a dream come true,” Mark said. “It maybe doesn’t feel like that because we do it so often now, but planes are literally a dream that’s come true.” Mark recently published a book — not exactly a memoir, but a meditation on the physical act of soaring through the air in a giant metal tube. @damonwinter photographed him and toured inside the cockpit on a @british_airways Boeing #747, seen here. @nytimestravel is sharing more photos by @damonwinter today.” By nytimes on Instagram.